Think you’re allergic to your cat? You might be allergic to the cat litter instead. Kitty litter comes in a variety of materials and may even contain additional additives or chemicals. As human allergies are triggered by substances in our surrounding environment, the cat litter you are using could be the cause of the allergic reaction you are experiencing. So what exactly are human allergies anyway? 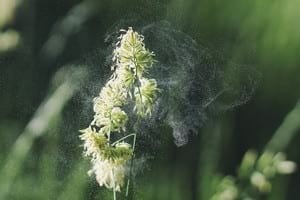 Allergies, also known as allergic diseases, are a number of conditions caused by hypersensitivity of the human immune system to something in our surroundings that usually causes little problems with most people. In other words, a substance called allergen will produce an abnormally vigorous immune response in which our immune system fights off a perceived threat that would otherwise be harmless to the body. As we will see further down, cat litter can contain certain allergens. Allergies can develop with any person at any age. 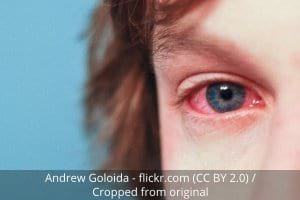 So even if you have been using a certain type of cat litter for a long time without it causing an allergic reaction, nothing is to say that at a certain moment, you could become allergic to it. In addition, there is believed to be a strong genetic correlation in contracting allergies. In other words, if your parents have cat litter allergies, then you are likely to have them also. What is also interesting to know is that, like people, cats can also develop allergies to cat litter. The causes, symptoms, and treatment are actually very similar to each other. What Causes an Allergic Reaction to Cat Litter? 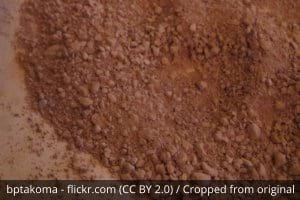 A lot of cat litters are made of clay and are known to produce fair amounts of dust. As it so happens, dust is a known airborne allergen that can cause an allergic reaction when it comes in contact with your eyes, nose or lungs. Some litters have perfumes or other additives that are added in order to help control odor. These fragrances are also a potential allergen that might trigger the allergies you are experiencing. In addition to the above, additional minerals or chemicals can be found in certain cat litters that could trigger allergies and in some cases even more serious respiratory problems. Silicon dioxide, also known as silica, is one such example. It is a chemical compound that can be found in clay and a number of other minerals. Inhaling finely divided crystalline silica dust can lead to medical problems like asthma or bronchitis as the dust becomes lodged in the lungs and continuously irritates them. If you’re allergic to cat litter, you might notice a runny nose, sneezing, red eyes, shortness of breath or asthma. In some cases, you can even develop hives on your skin. As previously mentioned, these symptoms are caused by our immune system because it considers some of the substances in the cat litter to be harmful and tries to get rid of them. If you notice the above allergy symptoms during or right after you clean the litter box then this is a good indication that the allergic reaction you are experiencing is probably caused by the cat litter. Same applies if you see that your allergies are at their worst right after your feline friend used the litter box. If your not sure about whether the cat litter is the cause of your allergies, the best way to answer the question “Am I allergic to the cat litter?” is to have an allergy test performed by a qualified medical professional. The best way to help reduce or even completely get rid of allergies related to litter is to change the kitty litter you are using. There are a number of hypoallergenic varieties on the market which are relatively unlikely to cause an allergic reaction. In general, these are cat litters that are low on or even have no dust at all. Examples are cat litter made from crystals/pearls, recycled newspapers, pinewood or whole-kernel corn. When switching cat litter make sure to do it gradually by mixing the old litter with the new litter. This will help acclimate your cat to the new feel and smell. Also, bathe your cat or wipe the fur with hypoallergenic wipes so it is free of old litter dust. 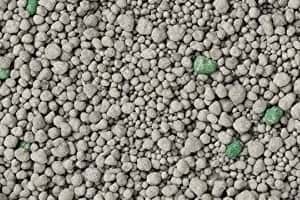 If for some reason it is not possible to switch the cat litter you are using, the basic rule is simple: avoid contact with the litter material. Below you can find some general tips on how to achieve this. Wash your hands thoroughly after handling your cat. Clean the litter box and surrounding area on a regular basis. This means scooping the litter at least once a day and changing all litter once a week. Place the litter box in a well-ventilated area that has vents to the outside. Don’t put the litter box frequently trafficked areas or close to air ducts. Make a habit of ventilating your house/apartment for about 5-10 minutes a day by opening all windows and doors (don’t apply on pollution or high-pollen days). Some allergies can also be reduced with the help of medication. Always consult with your local physician regarding the different options treating allergies and asthma. In short, yes cat litter can trigger allergies and their accompanying symptoms. The easiest way to treat them is by trying out a different kind of cat litter. Do you know of any other signs that might indicate that someone is allergic to cat litter? And what has worked for you in solving your cat litter allergy?